The transition deal does little to clarify Northern Ireland’s uncertain post-Brexit future, writes Sarah Gerwens (left), Andrea Alonso Ramos and Eliana Abdo (right). In April 1998, the Good Friday Agreement was signed, ending the dismal and bloody ‘Troubles’ in Northern Ireland, which had seen over 3,600 people killed since 1968. 20 years and one Brexit referendum later, Northern Ireland has once again become the subject of heated political debate: As part of the United Kingdom, Northern Ireland will be leaving the EU along with the rest of UK. Meanwhile, Ireland will remain in the Union. All parties now worry that NI will have to choose between maintaining a close economic, social, and borderless relationship with the Republic of Ireland - or with the rest of the United Kingdom. Unionists in Northern Ireland (who want close ties with the UK) and the British government are concerned about creating a split within the Kingdom, while Northern Irish nationalists (who want close ties with the Republic) and Ireland worry about (re)creating physical, political, and economic boundaries between Northern Ireland and the rest of the island. Satisfying both camps appears increasingly impossible. While the draft withdrawal agreement between the UK and the EU, released on March 19th, includes a section regarding Ireland/Northern Ireland, it falls short of providing a final and viable solution. Furthermore, the agreement has not been finalised and is already under fire from several sides. Given the island’s history of conflict and violence, a sustainable and successful solution of this issue is crucial - but so far none is in sight. The 1998 Good Friday Agreement regulates the relationship between Northern Ireland, the United Kingdom, and the Republic of Ireland. It called for the disarmament of paramilitary groups that were active during the conflict, created the Northern Ireland Assembly, explicitly enshrined religious rights and freedoms in the region, and defined the status of Northern Ireland. To aid reconciliation, the Agreement also enables all individuals born in Northern Ireland to elect whether they want to have British or Irish (so EU) citizenship or both. Furthermore, a fundamental tenant of the peace deal is the open border between the Republic and Northern Ireland. Until the Brexit referendum, the implementation of these points was not an issue. While both Ireland and the UK belong to the European Single Market, goods, capital, services, and, most importantly, people can move freely between them. With the U.K.’s departure from the Union, however, free movement between the Republic and Northern Ireland as well as the EU citizenship of Northern Irishmen might no longer be guaranteed. The Brexit Withdrawal Agreement announced by EU and UK officials on the 19th of March emphasises both parties´ commitment to honouring the terms of the Good Friday Agreement and preventing a hard border. However, the deal has not been ratified and does not propose a concrete and final solution to the issue, rather it includes a “backstop” option. This means that if the United Kingdom leaves the EU without having reached a deal, Northern Ireland will remain in the single market and customs union. A hard border between Northern Ireland and the Republic would be prevented, as promised, however, a de facto hard border between the island and the rest of the UK would be created instead. This prospect has raised concerns particularly among unionists, but also in the United Kingdom. Furthermore, the agreement outlines that “cooperation [between Ireland and Northern Ireland] across the full range of political, economic, societal and agricultural contexts relies to a significant extent on common Union legal and policy frameworks”. Such a statement hints at the fact that any viable solution would have to include some degree of regulatory difference between Northern Ireland and the rest of the UK. The negotiations are complicated by the worry that if this issue cannot be resolved, the whole transition deal is in peril - since ‘nothing is agreed until everything is agreed’. Northern Ireland, which voted ‘Remain’ by a majority of 55,8% to 42,2%, has expressed concerns about the implementation of a ‘hard Brexit’ which would ultimately lead to the creation of an EU-policed border separating the U.K. and the Republic of Ireland. This could include the reintroduction of checkpoints and tariffs, preventing travel and trade between the Republic and Northern Ireland. The Irish Nationalist party Sinn Fein has therefore proposed that Northern Ireland should retain a ‘special status’ within the EU to prevent a hard border on the island. Meanwhile, unionists are concerned about the creation of a different kind of barrier: divergence between Northern Ireland and the rest of the Kingdom. These opposing viewpoints were already evident in the Brexit referendum results: unionists were more likely to vote ‘Leave’, while Irish nationalists mostly supported ‘Remain’. The UK aims to recognise and respect unionist as well as nationalist demands: Theresa May’s government has vowed to maintain “the Common Travel Area and associated rights” as well as to avoid “a hard border for the movements of goods”. In short, the UK government hopes to preserve Northern Ireland’s current relationship with Republic as well as Britain. However, as outlined above, the desire to avoid any regulatory or political difference between Northern Ireland and the rest of the Kingdom might be irreconcilable with the need to prevent a hard border on the Irish island. Ultimately, conflicts within and about Northern Ireland are in no one’s interest. The 'Troubles’ were one of the most violent conflicts of recent European history and the undoing of the Good Friday Agreement could significantly impede the continued reconciliation process. No at all or a bad Brexit deal is equally undesirable for all parties involved. Thus, there is hope that these concerns will motivate an effective, yet thought-out, resolution of the Northern Irish issue. To achieve this, a new round of EU-level talks about the issue began earlier in March. However, simultaneously satisfying the unionists’ demand for UK-wide regulatory uniformity and the nationalists’ call for a close relationship with the Republic and the EU will continue to be difficult. A Northern Ireland that is British as well as European is possible, but only if all parties are willing to compromise. Sarah Gerwens, Andrea Alonso Ramos and Eliana Abdo are MSc Students at the LSE European Institute. The UK is leaving the single market. What are the ramifications for the world’s foremost financial capital? However severe, they also hold the promise of shrinking and placing under greater regulatory control a burdensome financial sector that exists at the expense of the real economy. Dominik A. Leusder, Domenick Baumgarten and Georgina Sideri-Papagianni argue that in such respect Brexit might have a silver lining for the economy. The many banks in the City of London use their British subsidiaries as a ‘passport’ to the wholesale banking of the EU27. The prospect of Brexit – however hard or soft – has dealt this arrangement a fatal blow. The passport now has an expiration date. Banks interested in business with other member states will have to conform to the same ‘equivalence’ standards faced by non-EU banks. As a result, prominent banks to reconsider London as their hub, setting their sights on Paris, Frankfurt and Dublin. Meanwhile, the government has been engaged in a protracted legal battle with the European Commission and the ECB over an obscure feature of financial market infrastructure. The conflict revolves around the location of so-called central counterparties (CCPs). These ‘clearinghouses’ act as intermediaries for the highly lucrative trade in derivatives, financial contracts linked to the fluctuation in the price of an underlying asset. Since most of these contracts are denominated in Euros however. Since the ECB issues the currency it has been keen on gaining supervisory oversight over the clearing business. In 2012 it proposed a location policy, which sought to relocate clearinghouses that handled more than 5% of euro-denominated derivatives into the eurozone. Despite losing a subsequent court case, eurozone regulators have not relented. On June 13 of this year the European Commission published a proposal refining the supervisory requirements for CCPs. The relocation of euro-clearing is a good example of the challenges facing the UK financial sector. It alone might cost banks an estimated £63 billion pound while depriving London of 83,000 jobs. The overall slimming down of the City after Brexit might also cut into £28.8 billion it generates annually in taxes. The City’s financial sector contributes to 3 percent of the United Kingdom’s GDP and 13 percent of London’s output. The up-side: becoming more European? While the short-term effects might be undeniably negative, there may be some perks. For one, the risks associated with highly centralized CCPs are real and the cause of acute concern. The liabilities – $1 billion of outstanding positions every night – are the implicitly backed by the UK taxpayer and the possibility of these clearing houses going belly up would seriously undermine the fiscal position of the sovereign, which in turn endangers the solvency of banks holding British bonds. More generally, he relocation of a large part of the financial industry to the EU, with stricter regulations and a wider risk sharing between the Member States will dramatically reduce the impact of future financial crisis for all – including the United Kingdom. Besides that, it is not entirely clear how the financial industry benefits the UK economy beyond taxes. Traditionally, UK banks have focused on their profitable wholesale business rather than financing the real economy (mortgage lending being the only exception in what Lord Turner has described as a ‘socially useless’ industry). Yet that is what any healthy financial system should do: channel savings into productive investments in the real economy while providing insurance and consumption smoothing. Rather than being a risk-generating entity, autonomous to the rest of society, finance should be something boring utility. Lastly, should the burdensome financial sector depart it would perhaps force the British economy to diversify into manufacturing and non-financial services. Ideally, it would become more like its more diversified EU trading partners. One of the great ironies of Brexit, then, is that the British economy might have to become more European. Dominik A. Leusder, Domenick Baumgarten and Georgina Sideri-Papagianni are MSc Students in Political Economy of Europe at the LSE European Institute. Notwithstanding Brexit, European politicians must remain committed to fighting climate change and making our planet great again. Kaschayar Javadi, Joséphine Siou and Benjamine Laurin write about the significance of the recent One Planet summit, following US' withdrawal from the Paris Agreement in late 2017. On Tuesday 12th December 2017, two years after the COP21, fifty world leaders reunited to find new ways to fund the climate agreements after the US' withdrawal.The main challenge for the application of COP21 is arguably to provide incentives for different participants to take actions and comply with the different features of the agreement, by applying and supporting new environmental policies. Reuniting the participants of COP21 without one of the worst polluters of the planet, namely the US, appears as an ambitious project, which needs to be scrutinised to understand the credibility of the treaty for a “greater planet again” regarding changes in environmental behaviour. Scepticism is not a solution, but the question remains to be asked whether the objective of COP21 will be attained one day. The « One Planet summit » is the initiative of French President Macron, who was boasting about his new formula « Make our planet great again », as a response to Trump’s campaign slogan. Today he might be feeling lonely at the White House, as around fifty heads of state, from the British Prime Minister Theresa May to the Mexican President Enrique Peña Nieto are engaging in negotiations, to overcome the worrisome phenomenon of climate change. This summit highlights the diversity of actors in the fight against climate change, as more than fifty key stakeholder representatives, like entrepreneurs, investors, NGO, local actors and scientists, were also present through roundtable discussions to find incentives to mobilise public and private climate finance. During the summit, only leaders who had real examples of commitment to announce were invited to speak. In fact, the outcomes of the agreement only depend on the development of concrete actions. Although the second largest CO2 producers after China have withdrawn from Paris’ agreements, actions that need to be taken to ensure the threshold of the 2° (rapidly sledging toward the 3°), will cost the extensive amount of $100 billion per year from now to 2030, as most of the inefficient energy infrastructure will also need to be replaced. After Donald Trump withdrew from the agreement, as he considered it to be an economic threat towards its country, and he only delegated the task to an embassy advisor, a series of leaders and billionaires such as Michael Bloomberg, Arnold Schwarzenegger, Leonardo DiCaprio and the State of Oregon have stood out in favour of the COP21. Erik Solheim, the head of the United Nations’ Environment Programme (UNEP), delivered a speech at the UNEP’s 3rd assembly in Nairobi to ensure climate matters and especially pollution gets on the top of political agenda, including in the business world. In fact, the lack of political concerns is seen as a real threat to the achievement of the objectives especially set for climate change mitigation. There is divergence at many levels across countries, as developing countries depend on leading developed countries. The goal of the “One Planet summit”, as high-level political meeting, is to create the strongest political momentum, by finding common ways to strengthen public policies on socio-ecological transition. This summit is to be part of a dynamic international process, following other international events on climate change. A recent study based on three independent European research groups show that the commitment to CO2 emissions restrictions in India and China is most likely to offset US withdrawal and that climate change might even be less severe than expected. These findings shed a positive light on the international scene of climate change and that there is a chance in the upcoming years for us to make our planet great again. However, to fulfil that very promising objective of making the planet great again, European politics certainly need to begin to ignite many environmental reforms. Besides positive incentives, the EU needs to focus on a few pain points in its landscape. The classic example would be the Tihange Nuclear Power Station. Its closing down has been at the centre of the recent environmental policy debates in Europe. Closing the reactor and many other hotly contested constructions would show a credible commitment to making the planet great again and would be a good starting point. The “One Planet Summit” is essential for coming together again in the completion of the objectives of COP21. This event also recalls that every new environmental measure needs to be justified and that the conditions for “a great again” planet rely on risk-sharing. However, this uncontrollable urge to multiply summit-meetings is not a healthy sign for the process of climate negotiations. Many announcements and commitments were made, which will need to be followed up to assess whether the incremental approach of the COP21 is efficient or not. This post represents the views of the author and not those of the Generation Brexit blog, nor the LSE. Joséphine Siou, Kaschayar Javadi and Benjamine Laurin are MSc Students at the LSE European Institute. What to expect from the divorce agreement and what are the issues at stake? The Irish border has been a place of tension for almost all the 20th century. The EU helped to stabilise the peace process between republican and unionist inhabitants. But Brexit is threatening this peace, write Alexis Chalopin and Sascha Titze. The 499km long UK-Ireland border is the only terrestrial border of the European Union with the United Kingdom, but it has a history of its own that has made the issue of how the border will be managed after Brexit a key point of the negotiation mandate of the European Commission from the start. This border has shaped the debate between British and Irish nationalists for a long time. EU Membership of both countries shaped the peace process, but it is only following the Good Friday Agreement between the Irish and British Government signed in 1998, merely 20 years ago, that the border gained its fully open form. Goods and individuals can cross the border easily, and since 2005 the agreement has been fully implemented, and the few last military checkpoints have been dismantled. The only meaningful difference that one can make now by crossing the Irish border is that one has to change cash to euros or pounds. Nothing else. To some extent, this open border is helping to maintain the status quo between the two parts of Ireland. The results of the last general election in the United Kingdom revealed the timorousness of Northern Irish voters as the DUP (Democratic Unionist Party) gained a record number of 10 seats. Their support agreement for Theresa May’s cabinet is giving them a weight on the Irish question that may put into question any decision on this very sensitive issue. On the EU side, Michel Barnier, Chief Negotiator for Brexit, explained that the decision relative to the border will not be made by the Commission without the formal approval of Merion Square. Finally, the question regained its bilateral strength. Hence, the strategy around the border concerns both the future of the Island of Ireland and the nature of the Brexit deal. Reinstalling hard borders would mean hard Brexit (no access to the Single Market and no freedom of movement for EU citizens other than Irish) and revival of old tensions while the continuation of the open border would mean soft Brexit but would force the United Kingdom to stay in the Single Market, or at least the Customs Union. The current divorce agreement articulates, on the one hand, that there should be no hard border thanks to full alignment with the rules of the single market and at the same time that the UK as a whole, including Northern Ireland, will be leaving the customs union. How this balance should be achieved, however, is yet to be defined in a subsequent agreement specifying the future relationship between the UK and the European Union. It is clear though that a regulatory alignment with the rules of the common market contradicts the idea of a Global Britain taking back control over its laws, money, and borders. The question yet to be answered is whether full alignment will be achieved only for Northern Ireland, or rather the whole UK as the Tories coalition partner DUP does not accept any differentiation across the Irish Sea. Theresa May, therefore, faces a trilemma. Firstly, by respecting the soft Irish border to advance on an agreement about the future of the UK and Europe, secondly, adhering the Brexiteers claim to take back control and thirdly, pleasing her coalition partner that there will be no regulatory divergence between Belfast and the rest of the UK. Sascha Titze & Alexis Chalopin are MSc Students in Political Economy of Europe at the LSE European Institute. Brexit has fast become the most analysed and debated topic in Britain. But there has been little discussion on the direct effects that it will have on the daily lives of people across Britain. In this blog, Hannah Fuchs (left) and Joyinola Layonu give insights into what a post-Brexitday might look like. They outline a fictional narrative where Brexit is looming and quickly affecting all aspect fo everyday life. It illustrates that Brexit may affect not only the financial sector or the UK relations with Brussels and the EU. It may affect every UK citizen in her and his daily life, from a price increase of groceries and wine over cars to a lack of resources in education and research. On June 23, 2016, the United Kingdom voted to leave the European Union in a national referendum. Since then, much of the discussion surrounding Brexit has been couched in the term which is best understood by academics and politicians. So in the most relatable language possible, how will Brexit affect the daily lives of people living in the UK? Mrs. B stood right behind the yellow line as she waited for her train to approach. She was so used to the rush hour that she now knew where to strategically position herself in order to ensure that the doors would open right in front of her. But she just could not get the thought of UK security intelligence off her mind. She wondered how much cooperation the UK would have with the EU on intelligence sharing after Brexit. Would it continue? There was so much uncertainty. The train arrived and Mrs. B boarded it. When she got off at her stop, she breathed a sigh of relief that her workplace was just around the corner from the station. She sighed again because she could not get Brexit off her mind. She worked at J.P. Morgan, a bank known for hiring the largest number of UK citizens, 16,000 to be exact. She knew that following Brexit, her job would hang in the balance. She also thought about her husband, an employee at UBS, who was based in Frankfurt, Germany. He usually commuted between London and Frankfurt on weekends, but there was a high possibility that the free movement of persons would no longer be a privilege for British citizens after Brexit. After work, Mrs. B had an appointment at the bank. She needed to discuss the possibility of a loan to fund her son’s study abroad year in Lyon, France. He needed this year abroad in order to remain a strong competitor for a job in international banking, but Brexit was looming and so was potentially the eradication of the Erasmus scheme for UK nationals.Following her appointment, Mrs. B remembered that she needed to buy some fruits and vegetables for dinner: tomatoes, grapes, oranges, olives, avocados, raspberries and blueberries, all imported from EU countries. She realised that they were already getting more expensive and that soon, after Brexit, they could cost even more. On her walk home, Mrs. B decided to get some French wine and German chocolate for her and her husband’s 15th wedding anniversary. Unfortunately, French wine had become 32 per cent more expensive. Hence, a little celebration entailed a bitter taste, for alcohol had already been quite expensive before Brexit relative to other European countries. For their anniversary, they got a new Volkswagen. Germany is Britain's biggest import partner with 15 per cent of Britain’s imports coming from there, mainly in the form of vehicles. France is the third biggest exporter to the UK with seven percent and Belgium is the fourth biggest with five percent. When she arrived at home, Mrs. B spent some time with her daughter, who was talking to her as her daughter searched for a position as a postdoctoral student in the UK. Brexit had begun to affect her and a budget no longer existed for hiring new staff to do research in the UK. Before the Brexit vote, the UK was the largest recipient of research funding in the EU. 1,000 projects at 78 UK universities and research centres depended on funds from the European Research Council. Mrs. B heard a twist in the lock at the front door; her husband was home. Mr. B walked in and handed his wife a beautiful bouquet of flowers before briefly muttering about the fact that British football clubs had some complications with their players as two-thirds of their players were not British citizens. Brexit was looming and quickly affecting everything. As we can see, Brexit affects not only the financial sector or the UK relations with Brussels and the EU. It affects every UK citizen in her and his daily life, from a price increase of groceries and wine over cars to a lack of resources in education and research. Hannah Fuchs & Joyinola Layonu are MSc Students in EU Politics at the LSE European Institute. A free trade deal between the European Union and Japan (JEFTA) was finally concluded on the 8th of December 2017. The final agreement was reached after four years of intense bargaining, and it took more than eighteen rounds of negotiations. This time around the Commission took a more innovative approach by keeping out the controversial parts. Miguel Cortijo Antona & Val Afteniuc argue that the lessons that can be drawn from this negotiation are far from optimistic for the UK's post-Brexit international trade ambitions. Together the two economies account for around 25% of the global GDP, and Japan is the EU’s second biggest trading partner in Asia, after China. The deal promises to boost EU exports to Japan by approximately €20 billion a year. It is good news for European farmers as the tariffs for dairy products, wine and beef have been significantly reduced. European car manufacturers are more ambivalent about the benefits of the deal. While they acknowledge the strategic importance of the deal, which sends a clear message to the rest of the world that two of the globe’s biggest economies are still committed to the principles of free rules-based trade. They are concerned that reduced tariffs on Japanese cars coming into the EU will have a negative impact on their bottom-line. However, not all the tariffs will be reduced at once. Some tariffs will be slashed immediately after the deal is ratified in 2019, others will be phased out during a 15 year period. What next? What about the controversial ISDS clause? The controversial topic of ISDS (Investor-state dispute settlement) was left out of the deal. ISDS is a mechanism which allows foreign investors to sue governments of host countries for enacting regulations which affect their profits. While some see ISDS as an important tool for making sure that the rights of foreign investors are protected. Others argue that the vague wording which is used in investment protection chapters allows arbitrators to interpret regulation how they feel suited. While the investment tribunals do not have the right to strike down laws enacted by sovereign nations, they can award financial compensation, often extremely large, that make policy-makers think twice before adopting new laws and regulations. This controversial clause almost brought down the CETA agreement and was a major issue during the TTIP negotiations. In 2015, the European Commission revamped the controversial dispute settlement mechanism and proposed the creation of an Investment Court System which is arguably more transparent than the current system. However, the big nations including US, China and Japan do not seem too keen on backing the EU’s proposal, and it remains to be seen what kind of dispute settlement system (if at all) will be negotiated between Japan and EU. Ultimately, it appears that the Europen Commission has learnt its lesson. By not including ISDS in the main agreement it will be able to ratify the EU-Japan trade agreement by a majority vote in the European Parliament and qualified majority voting (QMV) in the European Council, without having to pass it through national parliaments. Can the EU march on with globalisation? Both Brexit and Trump are considered to have been major backlashes against globalisation that took place in 2016. With the EU-Japan trade deal, however, it seems that both economic blocs were able to restore confidence in free trade agreements despite the current political climate. The EU views the deal as a way to get back on the front foot in opening up new trading opportunities after the near collapse of CETA in 2016 due to the veto of a Belgian regional parliament. Apart from JEFTA the EU is now focused on closing deals with other major economies such as South America’s Mercosur and launching new negotiations with Australia and New Zealand. It is also strengthening its ties with the US' backyard: having finalised a trade agreement with Canada it is now renegotiating and updating one with Mexico. With the failure of TTIP, it seemed as though the Commission was no longer able to negotiate trade deals with major world economies. By excluding the ISDS clause, the executive branch of the EU has given the Member States time to reach a consensus on this controversial issue. There is no running away from it, the EU member states must come up with a common position on ISDS. Trump’s protectionism and the Brexit vote created a free trade gap – with JEFTA the EU was swift to bridge it. If the EU, with its immense bargaining power, spent close to five years negotiating JEFTA, what is the likelihood that the UK will conclude such trade deals any faster, without completely giving into its counterpart’s demands? More importantly, what are the chances that the world’s superpowers will prioritise a trade deal with a country with a market of 65 million people, over one with 440 million? Barack Obama’s prediction was perhaps accurate, the UK might well end up at the back of the queue. Miguel Cortijo Antona is an MSc Student in EU Politics & Val Afteniuc is an MSc Studetn in Political Economy of Europe, LSE European Institute. It’s your typical weekend in England. Supporters are gathering outside of the football stadiums to support their beloved teams. In London, Arsenal hosts Manchester United at the Emirates Stadium, in what is regarded one of Premier League’s classic clashes between two powerhouses. Ninety minutes later, Arsenal fans walked out of the stadium particularly gloomy after a 3-1 defeat. However, a new storm is brewing affecting not just Arsenal, but the league as a whole: Brexit. Sebastian Contreras and Alexander Kuziw write about the impact of Brexit on the Premier League. Brexit is one of the most profound changes the UK will ever encounter, affecting a lot of industries, including the entertainment industry. One example would be the football industry, more specifically the Premier League and its access to European football players. This not only applies to the Premier League, but also individual clubs, that rely heavily on European players and access to European audiences. So how will Brexit impact the Premier League? The Premier League is the most lucrative football league in the world, with a total revenue of £4.4bn in the 2016-17 season, according to Deloitte, a multinational consultancy firm. Part of that success can be attributed to the league’s recruitment of the most talented footballers on the planet, regardless of nationality. Many of the league’s clubs, such as Arsenal, Chelsea and Manchester United have greatly benefitted from such a strategy, especially by recruiting many EU nationals. However, the prospect of a hard Brexit may put the league’s status in jeopardy. Firstly, the current immigration system allows complete freedom of movement of labour, which applies to professional football players. But a hard Brexit would entail that EU footballers would have to follow the same immigration procedures as non-EU citizens. This means applying for a Governing Body Endorsement (GBE) by the Football Association (FA), in order to receive a Tier 2 or Tier 5 sportsperson visa. Notwithstanding an apparently straightforward process, the FA requires certain criteria to be met, such as the percentage of games played with the player’s national team, as noted in Figure 1. Also, this requirement has to be met two years prior to the application and one year prior, for players under 21. These intrinsic procedures could undermine the attractiveness of the Premier League across the EU. Decreasing the talent pool available to the league’s clubs could potentially decrease the chances of signing high-calibre players like Cristiano Ronaldo, a Portuguese national, who previously played for Manchester United. This would also entail the loss of the Premier League’s popularity internationally, which could damage the future prospect of future investments. In fact, according to one of the league’s most respected voices, Arsene Wenger, Arsenal’s Manager, Brexit could threaten the financial stability of the league and, therefore, decrease the team’s revenues. Lastly, another source of conflict may arise between the FA and Premier League. The former has a more optimistic perspective of Brexit, as it could push for allowing talented young English players to make it into the top teams of the Premier League. The logic behind this is to enhance the English national team’s possibilities to win major trophies, such as the World Cup. The FA Chairman, Greg Clarke, emphasised the FA’s goals to recruit the world’s most talented players, while making sure that English players are prioritized over middle-lower ranked international players. This would definitely resonate with the views of Chelsea fans who, according to an online poll by AskFans; supported the Leave campaign by 61% followed by Everton and Tottenham, who both supported leaving the EU at 57%. Conversely, teams such as Manchester United and Arsenal, favoured heavily to remain in the EU, by 62% and 66%, respectively. This optimism contradicts the Premier League’s objective of ensuring that the league remains competitive, as well as increasing the chances that English teams win major European tournaments, like the Champions League. Moreover, Chelsea fans may have enjoyed the club’s latest successes, but Chelsea would certainly not be as competitive if it lost talents like Eden Hazard or Thibaut Courtois, both Belgian nationals, who have greatly contributed to the team’s successes. In short, it appears that the Premier League is supportive of a softer form of Brexit, which would grant the league access to the European football market, while the FA seems to prefer a harder Brexit. Considering how intertwined the Premier League is with European players, industries such as telecommunications, merchandising or any other commodity the league produces will certainly be affected by the prospect of a British exit from the EU. Perhaps in a year’s time, Arsenal fans will be gloomier about the effects of a hard Brexit on their team, rather than losing again to Manchester United. Sebastian Contreras and Alexander Kuziw are MSc Students in EU Politics at the LSE European Institute. The relationship between politicians and civil servants is like that of an ice-skating duo. To be effective, both partners must work in perfect harmony. Any disagreement over the direction of travel risks humiliation, peril and fractured limbs. By rejecting its own Brexit impact reports, the government sets a dangerous precedent, writes Will Heilpern (LSE). There is nothing new about members of Theresa May’s government playing down the negative consequences of Brexit. However, this is more damaging than a typical slur against the results of a pro-Remain Think Tank. The government’s reaction to the leak is just the latest in a flurry of populist attacks on academic rigour and expertise, as well as a direct insult to an already demoralized department. During the referendum campaign, cabinet minister Michael Gove infamously said, “People in this country have had enough of experts”. No one expected it to become an official government rebuke to its own salaried wonks. There is nothing new about members of Theresa May’s government playing down the negative consequences of Brexit. Even the hardest Brexiteer cannot label the impact assessment as part of “Project Fear”. It was compiled by the Government Economic Service and DExEU’s own economics team. According to ITV’s Robert Peston, secretaries of state were allowed to bring their own chief economists to meetings to scrutinize analysis and provide input. The ministers’ auto-rejection of the impact assessment out of pure econo-scepticism should leave every number cruncher in Whitehall feeling nervous. The implication is that government should not bother commissioning them to predict the costs of its policies at all. Even worse, it will have a corrosive effect on future administrations, for many years to come. Any sober calculation of expected costs and benefits will now be easy to laugh off. Image by opposition24.de, (Flikcr), (CC BY 2.0). In the 21st century battle between experts and fake news, the British government has yet to decide which side it is on. Last week, it announced plans to launch a specialist team dedicated to tackling fake news and disinformation. Ironically, due to the government’s inability to answer substantive questions about the new Fake News Unit, Tom Watson, Labour’s deputy leader, labelled the announcement itself ‘fake news’. 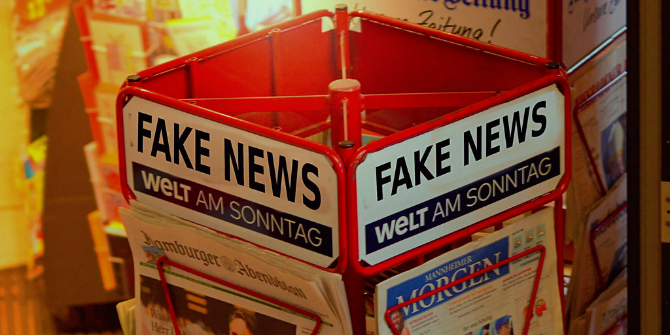 Regardless, tackling disinformation requires more than simply exposing misleading clickbait from viral websites and even propaganda from the Russian state press machine. Being on the side of truth requires real engagement with facts. Economics is not an exact science and Brexiteers are entitled to point out that Treasury predictions have been proven false in the past, but the way to challenge an economic forecast is to question its data, assumptions and analysis. Not to relegate a respected academic discipline to the realm of pseudo-science. A look inside the report shows that DExEU predicts a soft Brexit would cost the UK economy two per cent of GDP over the next 15 years. A hard Brexit, with a Canada-style free trade deal would shrink GDP by five per cent. While a no-deal scenario, with the UK left to trade on WTO terms, would slash eight per cent from the UK’s GDP. What about “Truly Global Britain” and its re-kindled relationships with economies outside of the EU? The report expects that a future trade deal with the US would add just 0.2% to GDP, and treaties with other non-EU countries would add a somewhere between 0.1 and 0.4%. Of course, these predictions may all turn out to be false. The assumptions about the growth of the EU could be wildly over-estimated and trade with India and China may become easier than expected due to the sudden invention of teleportation. We simply cannot know. However, it is certain that politicians who take the advice of their economists will more likely deliver prosperity than those who use populist rhetoric as the sole basis for their economic acrobatics. 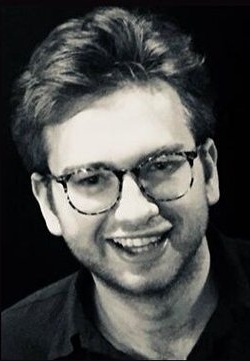 Will Heilpern is an MSc candidate in Global Politics at the LSE. Previously he has worked as a journalist at CNN and Business Insider and as a speechwriter in The European Parliament. He can be found tweeting here. The breakdown of the deal on the Irish border is a symptom of a larger problem, writes McCauley Pugh (LSE). When it was announced on December 4th that London and the European Union had reached an agreement on the Irish border, it was immediately peculiar that the Democratic Unionist. Party would agree to any “regulatory alignment” between Northern Ireland and the EU. The reason that the government was presumptively able to reach that agreement was revealed: the DUP had not been informed about it. The collapse of the agreement on December 4th is just the beginning of what is likely to be a challenging time for Northern Ireland. The problem has become well known over the last few days. If Northern Ireland leaves the European Union Customs Union, there will need to be some sort of a “hard border” between Northern Ireland and the Republic of Ireland. If Northern Ireland remains in the customs union or remains mostly aligned with it, there will need to be some sort of a “border” on the Irish Sea. No one has come up with an adequate solution to get around this problem. Even if the agreement on December 4th had gone ahead, it would not have solved this problem. The breakdown of the agreement was disappointing for many, in particular for the government of the Republic of Ireland. But the DUP is a democratically legitimate party representing the viewpoints of a large portion of the population of Northern Ireland. Unionists see themselves as British, think a close relationship with Britain is imperative and are deeply against the prospect of a united Ireland. It is therefore not surprising that the largest unionist party in Northern Ireland would reject a deal that would have meant divergence from Britain and integration with the Republic of Ireland. Nationalists are well represented in the Brexit negotiations as well. Their interests are closely aligned with those of the Republic of Ireland, and the EU has said that there will be no deal that Dublin does not support. The Irish government has made it clear that, despite the events of December 4th, their position on the Irish Border has not changed. The DUP has a great deal of influence over London’s decisions on Brexit through its confidence-and-supply agreement with the Conservatives. Since Dublin’s position is in many ways opposed to that of the DUP, it is not easy to predict an end to this standoff. Perhaps the DUP, fearful of a government lead by Jeremy Corbyn, may ultimately back down. But this would not solve the underlying problem. If the deal had gone ahead, it would have lead to the long-term problem of unionists being unhappy with Northern Ireland’s divergence from Britain. On the other hand, if, as First Minister Arlene Foster insists, Northern Ireland leaves the European Union “on the same terms as the rest of the United Kingdom,” nationalists would be enraged over Northern Ireland’s divergence from the Republic of Ireland. We know from Northern Ireland’s recent history that if all sides do not support an agreement, then the agreement is unlikely to last. December 4th was not the first time that the DUP has been opposed to an accord on Northern Ireland. Ian Paisley, the founder of the DUP, was a major actor in the strikes that brought down the Sunningdale Agreement in 1974. The DUP made its opposition to the Anglo-Irish Agreement clear in 1985 and, before campaigning that the people of Northern Ireland vote to reject it, completely sat out of the Good Friday Agreement in 1998. The Good Friday Agreement did not function well until the DUP eventually supported its power-sharing provisions through the 2006 St. Andrews Agreement. Brexit has interrupted many of the aspects that have brought relative stability to Northern Ireland. Both the Republic of Ireland and Northern Ireland may be negatively impacted economically. In the past, when there was a political crisis in Northern Ireland, London, Dublin and Washington could intervene to address the issues. While the election of Donald Trump has landed the United States in its own chaotic situation, Brexit has been enough of a distraction for Dublin and London that the governments have not paid adequate attention to the political situation in Northern Ireland. This was likely a large factor in the collapse of the power-sharing government earlier this year. The problem caused by Brexit that the events on December 4th highlighted is the interruption of the solution to the border problem. The EU has allowed the UK and the Republic of Ireland to become two integrating states. Blurring the lines of sovereignty was integral in solving the zero-sum border issue and eventually helped lead to the Good Friday Agreement, which brought the relative peace and stability that Northern Ireland has recently enjoyed. The breakdown of the agreement on December 4th is just a symptom of this zero-sum problem that has returned. It is a problem for which no one has proposed a good solution and is likely to persist. McCauley Pugh recently completed his MSc in Comparative Politics at LSE. He specialised in Nationalism and Ethnic Politics. He completed his BA in Politics and Italian at University College Dublin. On the 10th of November Michel Barnier demanded that the UK needed to show significant progress on three of the main negotiation issues by December 2017 - rights of UK and EU citizens, the Brexit bill Britain will have to pay, and the Northern Ireland border. The negotiations have faced challenges, with the UK and the EU believing the UK ‘wants to have the cake and eat it too’, as it is being too fanciful with what it can have. The Northern Ireland border issue adds a complexity to the negotiations, write Ellie Couchman, Alice Steward, and Isabel Flanagan. On the one hand, post-Brexit there is a need for a ‘hard border’ with physical checkpoint and barriers in Ireland to control the flow of goods and people from the EU’s free movement area over the only land border to Britain who will have removed itself from the EU. On the other hand, the introduction of a ‘hard border’ separating Ireland and Northern Ireland which is politically unthinkable. With the history of ‘The Troubles’ politicians worry that the rising tensions could lead to a return of ethnic violence in Ireland. Leo Varadkar has requested a formal guarantee that there will be no hard border, without which he will block Brexit negotiations in December. However, there are some suggestions to invoke an ‘invisible border’ which may offer a middle ground between a hard and soft Brexit border. This ‘invisible border’ is better understood as a technological border. On the 16th of August, the UK government published its position paper on Northern Ireland and Ireland - one of three key issues the EU has made a priority. The position paper states that it wants to “[avoid] a hard border” and that the solution will be both political and technical, but fails to mention what kind of “technical solution” we’re looking at. In the process of taking back control, are we inadvertently just handing it over to Big Brother? As Millennials, giving away our data is standard. After downloading an app a simple tap gives companies access to our contacts, our microphone, our location and camera. We’re barely even fazed by stories of targeted adverts on one website being picked up by another app. We’ve come of age with technology, and data hacks are a somewhat inevitable fact of life. But are we really aware of all the risks of so much surveillance? Whilst there hasn’t been a clear breakdown by the UK Government of what technology will be used at the border, there has been great speculation by government officials and technology experts. The most discussed options have included CCTV, drone patrols and number plate and facial recognition. The use of CCTV would allow border movements to be captured and give the police the authority to be alerted if known suspects were crossing the border. This would let both Ireland and Northern Ireland to have control on criminals entering and leaving each country. On the other hand, drones would enable larger amounts of land to be under surveillance, alerting border authorities of human movement. An example of drones being used for border control can be seen between the USA and Mexico. Meanwhile, number plate and facial recognition would allow the authorities to track each individual that crosses the border. The use of number plate recognition on a border is already used between Norway and Sweden. However, the political reaction to this technological solution has been mixed. British Prime Minister continues to declare that the UK does not want a hard border in Ireland. In her Florence Speech, on September 22nd, May reaffirmed the government's commitment to upholding the Good Friday agreement and the Common Travel Area in Ireland. The government's position to use technology, as a replacement for a hard border, has been supported by other external actors. For one, there is the Swiss, who use a similar type of system to guard their own border, advised the UK government that the technological solution is a way of avoiding placing boots on the ground at the border. Then there is the think tank Legatum Institute which views the use of technology as the most effective way to man the border, supporting the use of cameras and license plate tracking over the border. Undivided is a UK wide, youth-led campaign to allow 13-29 year olds to shape post-Brexit Britain. The campaign was set up by 30 young people in the wake of the EU referendum. Together we voted Remain, Leave or didn’t vote at all (some of us were under 18) but regardless of how we voted in the referendum, everyone connected to the campaign were united by the motivation to ensure that young people’s views shaped Britain’s future outside of the EU. The campaign launched in October 2016 with media coverage across the Today programme, BBC2, SBTV, ITV, Sky, 4Music and Newsbeat - issuing a call for young people to submit and vote on their top demands for what they want to see from Brexit. Our campaign garnered an overwhelming response from young people from all parts of the country. By channelling input from young people through creative, grassroots campaigning and a sophisticated online voting platform we have been able to gather rich, nationally representative data on what young people want to see from the Brexit negotiations. The campaign trialled innovative ways of engaging 13-29 year olds from across the UK, reaching over 4 million young people in this age bracket both online and offline - a third of all young people in Britain - including some of the most hard to reach groups. Offline, we ran a programme of educational events in schools as well as a grant programme which created 96 peer-led, creative events in every nation and region of the country (ranging from spoken word performances, to art installations and film content). Downloadable toolkits enabled teachers, community groups and young people to run facilitated debates, classes and events on the issue of Brexit. From a total of 96 events, we engaged over 3,500 young people to make informed decisions on what they thought about Brexit - often starting from no clear view. Online, we directed young people to submit their demands through our innovative voting platform giving us an initial 2,300 demands chosen by young people themselves. We then called young people to vote on these demands, helping us build up rich pool of polling data on what under 30s want Britain to look like after we leave the EU, involving the direct participation from over 9,000 13-29 year olds from 76% of UK constituencies. Savvy social media campaigning, targeting and content built a rich community of advocates and a trustworthy, youthful, and more importantly, youth-led brand. The 9,000 strong research sample forms a comprehensive analysis of what UK young people want from the Brexit negotiations and has been shared with the Department for Exiting the EU, Department for Media, Sport and Culture as well as the British Council and the LSE. Coverage of the Brexit negotiations has recently become dominated with discussions over the so-called “Brexit Bill” - the amount the UK and the European Union could be forced to pay when the UK eventually exits the European Union. This blog, by Valeria Vigilante, Manuela Cristiano, and Marta Kochetkova, looks at the implications of the “Brexit Bill” and how existing public debates over how and when the amount asked for should be paid have shaped the views expressed by millennials on the Generation Brexit platform. The authors highlight the variety of views young Europeans aged 16-35 have on this issue, one of the most discussed topics on General Brexit platform, and the key concerns and arguments the participants on the platform have put forward in relation to one of the most topical aspects of the Brexit negotiations. As the first stages of negotiations are taking place in Brussels, the media coverage and public debate, in the UK and across Europe, has been dominated by discourse over money and the so-called Brexit bill. But what does this bill exactly entail? The “Brexit Bill” is simply the sum of the UK’s financial obligations against the EU. The argument brought forward by the EU is easy to understand: there are multiannual programs in execution for which at the time the UK gave its approval as well as it showed a readiness to support their costs. If now the UK decided to default on its obligations, it would leave a gap in the budget. Therefore, EU wants first the UK to accept the principle of paying for the commitments made and then proceed to compute their amount. For its part, the UK could claim those European assets paid with its financial contribution. In these cases, there should be a space for a negotiation. But, what does the Bill comprehend in terms of money and obligations? - There has not been an official amount of money yet; however, the EU seems to ask 60bn € to the UK as arrears to cover the costs of the commitments made together in the past years as well as financial contributions to the European budget. - 150bn is the total amount of European assets against which, right as in a divorce, the UK could claim its share post Brexit, which could amount of a share for London equal to over 20bn €, spread across different assets. However, it is all still settled in the realm of probability and uncertainty. There are divergent opinions on the Bill, among EU and UK officials as well within the media and the general public. While there is now a generally agreed British obligation to pay the bill, as Brexit minister Joyce Anelay has acknowledged, there are many different scenarios that could take place: from the actual sum to be paid and in what currency to how the bill could be paid, spread over a three-years timeframe, for instance. In particular, young demographics, the famously called ‘millennials, are concerned about the bill and how it could affect them in many different ways, depending on the decisions taken during the negotiations. Negative effects, for millennials, not only in terms of declining GDP (as the British Treasury estimates in case of hard Brexit) and stagnating economy, but also in terms of research and projects funding. Yet, as there many different scenarios and potential negative effects so there are many different opinions among the millennial demographic on what the necessary course of action is: how much to pay, how to pay and for what, what to prioritize. The highly polarized positions across the millennial generation appears clear on the Generation Brexit, an online platform created to crowdsource a millennial vision of Brexit and future UK-EU relations. Generation Brexit is an online platform which aims to collect and enable millennials’ opinions and proposals in regards to the Brexit negotiations. As such, it has been a good sample of heterogeneous opinions surrounding the divorce bill. Overall, the Brexit bill has been one of the most discussed topic on the platform as it was set among the earliest discussion boards, named ‘challenges’, and collecting around 23 different proposals, 230 votes and more than 40 users. More or less, the over majority of users agrees that the UK needs to pay a sum to exit the European Union, presented as a matter of responsibility, thus mirroring Anelay’s position. However, this shared agreement ceases here: users have presented a wide range of different ideas on how the matter should be carried on. Interestingly, some users have forwarded the idea that the bill should be split between the UK and the EU, while others consider the UK as the sole responsible for the Brexit, thus the sole accountable for the bill; an user suggests that the bill can be paid over time, in different instalments. On the other hand, others are more concerned on how the exit bill means an exit from common projects, which have benefited the UK in different sectors: form scientific research to arts and creative industry. This last discussion underlines an interesting aspect of the bill, which is rarely, if never, considered within the public media. This uncovers not only how multilayered Brexit is as a phenomenon but also the great potential of initiatives such as Generation Brexit. What has been interesting to observe is how the heterogeneous positions on the matter have not hindered the online discussion on the Generation Brexit platform: in many cases, users have welcomed others’ proposals as something new they had not thought of yet. In other cases, a compromise or shared view was achieved. These are all positive signs of how well the project itself is going and, more importantly, of the important role the general public can have: to offer original and different perspectives on complicated matters. Lastly, the project becomes even more significant when considering that the decisions undertaken during the Brexit negotiations will affect directly the general public. It is has become clear, based on the views that millennials have already expressed on the Generation Brexit platform, that the question of the “Brexit Bill” is just as contentious and discussed on the platform and among the youth demographic as it is in the UK and European media and public arena at the moment. Young European citizens, those living, studying and working all over Europe, view the questions of how much will be paid, by whom, when and how as key and have strong opinions on the topic, opinions they have chosen to express on the platform through numerous proposals and votes, though a majority opinion has yet to emerge. What has been made obvious, however, is how engaged young people are with the topic and the evident understanding among millennials over how crucial getting the negotiations over the “Brexit Bill” right is, not only for the progress of the Brexit negotiations once this issue has been dealt with, but also as young European citizens and taxpayers with concerns and suggestions worth listening to. The Brexodus of workers is underway and key sectors can’t cope. Record numbers of nurses are quitting the NHS and farming is struggling. We can’t let the focus on the post-Brexit deal distract us from the present—but the present does hold important clues as to the assurances that EU workers demand. The pressure on nursing is twofold. Six months after the vote to leave the European Union, only 96 nurses joined the health service from other EU countries—a drop of 1,208 from the month after the referendum. Meanwhile, 2,700 EU nurses abandoned the National Health Service in 2016— a 68 per cent increase from 2014. With the NHS going through what the British Red Cross has described as a ‘humanitarian crisis’, it simply cannot cope with the haemorrhaging of a workforce which makes up 57,000 of its staff. Farming—which provides the vast majority of food that Brits consume—is also under pressure. The National Farmers Union published a survey in 2016 showing the damaging effect of the vote on agricultural labour availability. Pre-vote, 100 per cent of labour providers said they could recruit the seasonal workers they need. By the end of September, only 40 per cent of providers could recruit the people required to put food on our plates. But might this mean more jobs for British workers? Think again. Instead, a Norwegian worker called Thorvald is being readied to plug a labour shortage on UK farms. He’s one of a new breed of robots capable of killing fungus, carrying strawberry plants long distances across fields—potentially any agricultural task. Best of all, he doesn’t even need a visa. We are lucky such technology exists and may be capable of filling the gap in the farming sector. The idea of robots caring for us in our sickbeds isn’t quite so appealing. It is therefore crucial to understand why EU workers have responded to Britain’s intention to leave by leaving themselves. The free-fall of the value of the pound has inevitably been a factor in making the UK a less attractive place to work. The value of UK wages in EU currencies is worth 15% less than pre-referendum—making the increase in the national ‘living’ wage fruitless to foreign workers. However, this alone doesn’t explain the Brexodus. Take home pay for a single worker in the UK is four or five times higher in the UK than in Romania and Bulgaria after taking into account cost of living. Crucially, lack of certainty over rights to remain feeds into a broader feeling held by EU citizens of no longer being welcome in the UK. Spanish nurses report feeling like ‘second-class citizens’. What with the lack of certainty over their future rights to live and work in the UK, who can blame them? The solution to the fall in the pound will prove complex and will depend on the type of relationships negotiated between the UK, EU27, and non-EU countries during the next two years. However, the UK could, and should, assure EU workers that they are welcome and deeply valued in Britain—with a legal guarantee of protection of their rights into the future. Robots may not have feelings, or families to support, or a life in the balance—but EU citizens do. We must act now or risk our key sectors suffering further. Share your views and suggestions and contribute to the debate on the Generation Brexit platform now! Theresa May, the British Prime Minister, has suggested pulling out of the European Court of Justice (ECJ) following Brexit. It is important for us to understand what the ECJ is, what the Court does, and why UK negotiators want out. The European Court of Justice is the highest court overseeing European Union law. As a part of the Court of Justice of the European Union, it interprets EU law and ensures its equal application across all Member States. This should not, as much of the media have, be confused with the European Convention of Human Rights and the European Court of Human Rights. From its creation by the Treaty of London in 1949, the UK was one of the first ten states to sign up to these non-EU bodies. The ECHR and its respective Court is part of the international treaty protecting human rights and fundamental freedoms and therefore remains independent from the EU and Brexit. In addition to the ECJ’s role in upholding the EU single market, the Court also has power over fundamental UK law and regulations such as rejecting Scotland’s plan to raise the minimum price of alcohol, allowing employers to ban headscarves in the workplace, permitting national courts to ban prisoner voting, and upholding strict tobacco regulations. While EU negotiators believe that the court must have authority in settling post-Brexit, the UK government (although not in an official public statement) promised to remove the UK from the jurisdiction of the Luxembourg-based court. By all accounts an arbitrary body will be needed to ensure ‘fair play’ during the negotiations. The question is whether the ECJ will maintain jurisdiction in a post-EU Britain. The EU supports the ECJ’s continued influence on the UK, both during and after the end of the Article 50 TFEU negotiation process. From settling disputes over money to protecting the rights of EU citizens living in Britain, the remaining 27 Member States hope to maintain the ECJ’s rule of law, standards of independence, and impartiality. In the UK, Theresa May has insisted that the ECJ will lose its control over British affairs when the UK leaves in Spring 2019. As the Brexit negotiations begin, David Davis, the Secretary of State for Exiting the European Union, has echoed these statements. However, some EU ministers have stressed that there is no possibility of remaining in the Single Market and opting out of the ECJ. At present, it is unclear which side will have to make the most concessions. Regardless of the outcome, it can be certain that both the UK and the EU will want to prioritise their citizens first. Is Britain’s sovereignty in danger? Sovereignty was a key issue throughout the campaign, and Michael Gove was adamant that it was the “overwhelming reason” for the UK voting to leave the EU. To understand if British sovereignty is at risk, there needs to be an understanding of what ‘sovereignty’ actually is. Sovereignty can be understood as the supreme authority of a government, by which it is able to govern itself independently, without the interference of other nations. For example, the UK chose to set up the NHS while the US decided not to offer universal healthcare. Now that we have established what sovereignty is, let’s look at whether the UK will gain sovereignty after Brexit. The ‘Vote Leave’ side argued that membership of the EU threatened the supreme authority of Parliament. Being a member of the EU means that we are subject to the principle of supremacy of the ECJ, which means that European law trumps national law. This is a popular idea. Indeed, Theresa May has suggested introducing the Great Repeal Bill to retrieve legislative powers from the EU. Brexit could help to strengthen UK sovereignty. However, how sovereignty will be returned to the UK is not clear. The Great Repeal Bill is likely to result in the Henry VIII clauses being invoked when deciding which EU laws to keep and which to cut. This arrangement means that ministers and public services can avoid any EU law becoming UK law, without going through parliament. Legislation will be passed without scrutiny from elected officials, undermining the influence and importance of the country's democratic institution, Parliament. Both Scotland and Northern Ireland voted to remain within the EU, and this has raised the question of whether they should be allowed to remain EU members by becoming independent. This creates the potential for future referendums in these countries. Even if the UK remains a unified state, it is unclear how the EU powers will be divided up between the four regions or whether they will remain solely in Westminster. The legislative powers, which the UK hopes to take back from the EU, may return powers back to the government but not necessarily to UK citizens. Brexit can be seen to both increase and reduce parliamentary sovereignty. In theory, an exit from the EU will allow the UK to have control over all of its laws. However, Brexit may reduce parliamentary scrutiny and threaten the unity of the UK. Before we enter the minefield that is the negotiation process, we need to consider what kind of sovereign state we want to be. Brexit will limit your travel - find out how! This article examines the EU freedom of movement principle, one of the most discussed topics in the debate over the Brexit negotiations. Considering what the freedom of movement currently allows EU citizens to do and how it relates to studying and travelling abroad, the authors explain how Brexit is likely to affect travel to and from the UK and EU as well as study opportunities in the UK and EU. So, what does the freedom of movement principle currently give EU citizens the right to do? The freedom of movement principle allows citizens of the European Union (EU) to live, work, and, under certain circumstances, access the welfare system in any other EU country, if they wish to. Freedom of movement was further expanded with the 2004 Citizen’s Rights Directive, which established the right of EU citizens and residents to move and live freely within the EU. This Directive applies to EU states (including the UK and Ireland) and the 4 non-EU states mentioned before. UK and EU students currently pay the same university fees as domestic students, something that may change after Brexit. Beyond that, both UK and EU students have a right to receive the same tuition fee and living cost loans from their respective EU countries of study if these are offered. For instance, the British government recently guaranteed the same fees and rights to loans for EU students for those starting in the 2017/18 and 2018/19 academic years and for the entire duration of their degree. There are also concerns about the potential decline in incoming research talent; about 16% of researchers at British universities currently come from other EU states and may potentially leave the UK after Brexit. Additionally, the Erasmus programme, founded in 1987, allows EU university students to study in universities across the EU for 3 to 12 months, as well as to do traineeships in different organisations across the EU. After Brexit, British students might not be able to continue taking part in Erasmus or keep their right to receive funding through the programme. Similarly, EU students might not be able to choose British universities and organisations for their Erasmus exchange. Currently, holding an EU national ID or passport is sufficient to pass the UK’s border controls for all EU citizens. However, after Brexit, British citizens might have to apply for a visa to enter the EU while EU citizens may have to apply for a visa to enter the UK. Furthermore, many travel services are currently regulated at EU level, including the European Health Insurance Card (EHIC), which guarantees free or partially free health care coverage across the EU. The EU has also abolished roaming charges, thus allowing people to use mobile and data networks without additional costs within the EU. An increase in costs for these services after Brexit is likely. Lastly, other services, like travel insurance and compensation rights for delays or damages, may change significantly as well. Another affected sector may be air transport, including the Open Skies agreement between the UK and US, which allows any EU or US airlines to fly between the EU and US. If the UK leaves this agreement after Brexit, many EU-based airlines may be unable to fly to and from the UK as easily or cheaply. How do you think Britain leaving the EU will limit your travel for study, work and leisure? What freedom of movement rights do you think should be guaranteed or kept for British and EU citizens, and why?